Duplicate code analysis in Sonargraph is achieved through the Duplicate Blocks view and the Duplicates Source View. The Duplicate Blocks view lists duplicate code blocks that have been found in source files of the system that have not been excluded from analysis via a filter. For each duplicate block, all the occurrences are listed, with source file, length of the block in lines, start line of the block, and the tolerance, i.e., a number of lines that need to be changed in the block so that it is (more or less) equal to another text block. Duplicate code blocks are considered as issues in Sonargraph as they make more difficult the maintenance of the code base and undermines the implementation of new features. Thus, duplicate code blocks can also be found in the form of Issues in the Issues view of Sonargraph (See Section 8.2, “ Examining Issues ” ). The context menu for a duplicate block (both in the Duplicate Blocks view and the Duplicates Source view) allows to take care of it as an issue, by either ignoring it or creating a fix resolution for it. 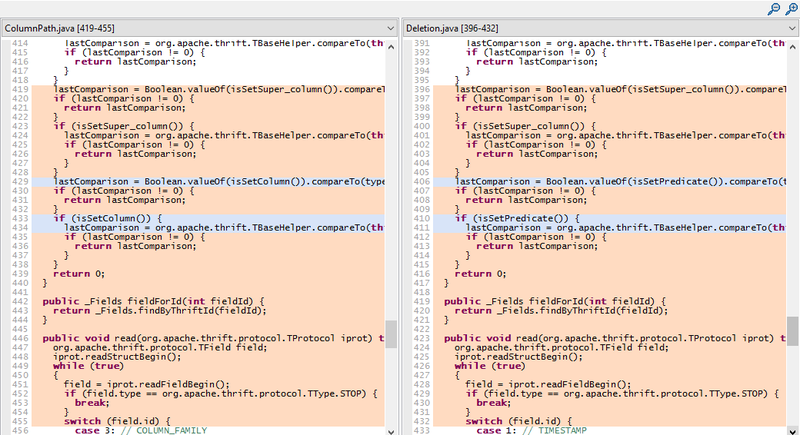 Normally, duplicate code blocks are computed automatically on every software system open or refresh via the duplicate code analyzer.